WILLEMSTAD - Curacao’s very own Miracle Tree is proud to announce the nomination of three of our Moringa Wellness Teas for Health & Fitness / Women’s Fitness magazines’ 2015 Healthy Food & Drink Awards for Teas! Our three nominees include Moringa & Mint, Moringa & Mango, and Moringa & Apple/Cinnamon! The Awards represent a stamp of approval from the readers of both publications, and we hope they give our customers greater confidence when buying Miracle Tree’s wonderful health and nutrition products. We need the people of Curacao, along with our valued customers all over the world to help to drive votes for us! Please access the link here: www.womensfitness.co.uk/awards where you can vote for us under the Teas category! The result of the awards will be announced in the February 2015 issues of Health & Fitness and Women’s Fitness magazines. Winners’ products will be showcased in this issue with the award won: Bronze, Silver or Gold. Health & Fitness and Women’s Fitness are established voices for health- and fitness-conscious women, remaining ahead of the curve by providing readers with up-to-the-minute information on all the latest trends. Health & Fitness and Women’s Fitness are passionate about offering readers in-depth and expert advice to help guide their healthy lifestyle choices. 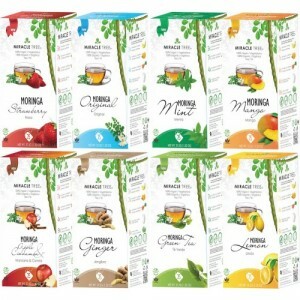 Miracle Tree is a wonderful new tea featuring delicious blends of highly nutritious and naturally organic Moringa dried leaves in 8 unique flavors! Our brand is proudly rooted from the beautiful island of Curacao!